Held in Austin, TX in mid March, Southwest Invasion began as a music and experiential event in 2012. Over the past seven years, it has grown into a three-day concert series and lifestyle village open to the public, hosted at the Whole Foods Market flagship store’s rooftop and courtyard square. Southwest Invasion draws over 12,000 fans annually who come to watch more than 30 concerts by emerging and legacy bands as well as interact with goods and services developed by microenterprises and socially responsible brands. Since its inception, the event has earned a reputation for selecting bands and brands on the cusp of widespread success, including Imagine Dragons, the X Ambassadors and Pentatonix, whose careers broke through to the mainstream shortly after their performances. Similarly, innovative companies such as FitBit and Amazon MP3 took off not long after their introduction to Southwest Invasion audiences. Southwest Invasion is curated and produced by Quantum Collective, a consortium of music industry leaders including Liz Leahy, founder and CEO of Tech Company Section 101, and Dan Silver, VP of Creative at Riptide Music Group and longtime record producer of several well-known artists. 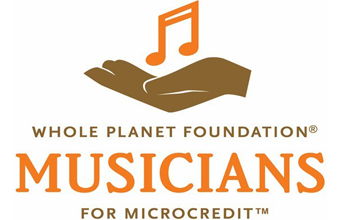 Importantly, the event benefits the Whole Planet Foundation and Quantum Collective is a partner with their Musicians for Microcredit™ program, which engages musicians to use their platform to alleviate global poverty. For booking information for the 2019 Southwest Invasion, please contact Dan Silver at dan@riptidemusic.com. For sponsorship opportunities for the 2019 Southwest Invasion, please contact Liz Leahy at liz@quantumcollective.com. Sign up for our mailing list for the latest news, 2016 lineup, VIP opportunities, and more! Southwest Invasion supports and helps to increase brand awareness for the Whole Planet Foundation, whose mission it is to alleviate poverty worldwide through Entrepreneurship. The Whole Planet Foundation is a private, nonprofit organization established by Whole Foods Market. They have provided $65 million in microloans to over 1 million entrepreneurs in 68 countries across Asia, Africa, the Americas and the Middle East. The Quantum Collective is an innovative marketing group that works to expand awareness by building complementary communities to support artists, musicians, celebrities and consumer brands through original programs, live entertainment and experiential events. Quantum Collective will present its 6th annual Southwest Invasion lifestyle event March 16-18, 2017 in Austin, TX. A concert series held in partnership with the Whole Planet foundation, the Southwest Invasion village, which takes over the rooftop of the Whole Foods store in downtown Austin, pairs socially responsible products and services with performances by emerging and legacy musicians. Artists and products selected for previous Southwest Invasion events have gone on to global success within months of the event, including products such as FitBit and Lagunitas Brewing, and artists Imagine Dragons, The Lumineers, Capital Cities, Pentatonix and A Great Big World.